STRANGE STARS is a setting where modern transhuman science fiction meets classic 70s space opera. Now you can explore the STRANGE STARS universe in Sine Nomine Publishing's acclaimed Stars Without Number or similar Old School Rennaissance-derived games! Join a salvage mission to steal ancient tech from the wreck of a deranged sophont warship. Scavange parts from giant ancient robots on Gogmagog. Cross swords with a Zao Pirate in hard vacuum. Experience a galaxy of adventure with STRANGE STARS OSR! The Strange Stars OSR Rule Book is NOT a full game but a supplement to Stars Without Number (available here in a free version) or similar science fiction games and a companion to STRANGE STARS . Is this compatible with the revised SWN rule book? I'm not familiar enough with the revised edition to so say with certainty, but from what I read it would be broadly compatible. I'll risk the cost. But I'm curious; Am i missing any setting info by taking the OSR version over the core version? The OSR rulebook is meant to be a supplement/implementation of the setting book, so not everything is repeated. How much you will miss it is difficult to say. How do the rules change space combat, if the setting doesn't make use of the spike drive? Full starship combat rules was beyond the scope of what I was doing here, but the first paragraph of the page 67 in the SWN Core edition rulebook describes Strange Stars space combat relatively well, in broad strokes. An easy solution is to run it similarly, just ignoring all the "phase" stuff. In Strange Stars, Combat does not occur within the hyperspace network, but occurs around nodes, worlds, or habitats. Boarding actions and the like are possible. I just got the email with the discount for the print version for those of us who already purchased the PDF, but the price shows as $9.95 even though the product page clearly shows I purchased the PDF. An email with the corrected code has been sent. Thank you. Worked perfectly this time. I hope you're planning more installments of Strange Stars, which is the best science fiction roleplaying setting ever (or at least since classic Traveller in the '70s). Sorry you're having trouble, but it's a glitch in the site, I assume. 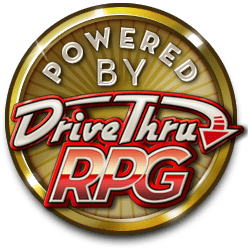 I just checked the previews (not logged in) on both drivethrurpg and rpgnow and they worked fine. Have you done any play testing using your supplement in the White Star RPG?...I was curious how it works with that system. Looking at what he did there, I don't think it would be very hard to convert over, as White Star looks even "rules lighter" than SWN, but with a similar OSR chassis.